A Somerville pizzeria that features vegan and vegetarian takes on pies is going to be opening a new location in Brookline. Eater Boston is reporting that Veggie Crust on Somerville Avenue is planning to move into the Grano Neapolitan Pizza space on Cypress Street near where it meets Washington Street (just west of Brookline Village). 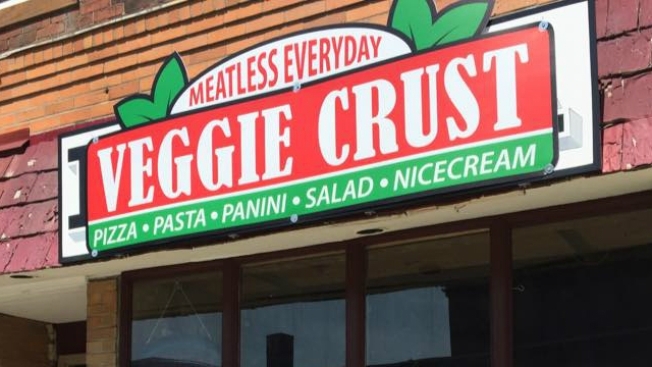 Once it opens, expect vegan, vegetarian, and gluten-free pizza to be offered, and it could also serve salads, pasta, panini, and ice cream as well, based on the menu of the Somerville location. Veggie Crust first opened in Somerville last summer, taking over the space where A4 used to be; the people behind the place also run Dosa N Curry next door.